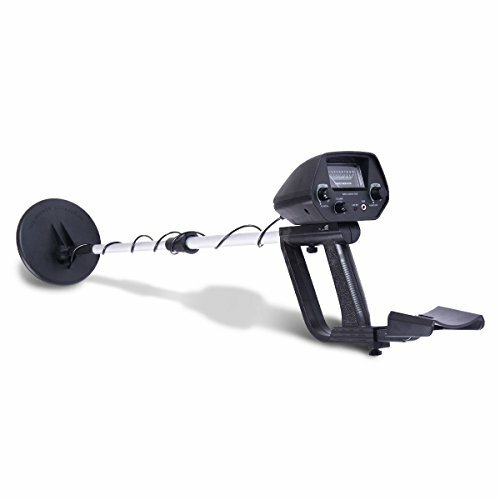 The Underground Discriminating Metal Detector Provides Standard -Level Features At An Affordable Price. It Can Be Used To Find Missing Or Lost Coins, Relics, Jewelry, Gold, Silver And Other Metal Objects Just About Anywhere. You Also May Find Lots Of Bottle Caps, Metal Pull Tabs And Foil Wrap. It Also Has Two Operation Modes: ALL METAL And DISC，Which Can Help You Search For All Kinds Of Metal Or Discriminates What Kind Of Metal Being Detected. Don't Hesitate To Buy One Now! ★ Brief design with all basic functions to meet beginners' requirement with a great price. ★ Smooth and soft handle for easy grip, light weight for easy carrying. ★ Search coil is waterproof which is able to work during rainy days. ★ Length of stem can be adjusted from 24" to 35.4" according to different requirement. ★ Package Content: 1 x metal detector, 1 x user manual.